It’s been a glorious four-day break for Easter. The sun shone bright, while I consumed enough chocolate to stuff a real bunny. And there was enough tree pollen in the air for me to wander around in a OTC drug-fuelled haze. Amidst all this, I also found time to cook fish curry, chicken curry and dal. Perfect, really. My last lesson before I move on to recipes is all about dal. Dal is a preparation of boiled lentils with vegetable and spices. The spices are normally tempered in hot oil first, which means they are allowed to sizzle and release their strong flavours before these aromas are trapped in the lentils. This tempering process is also known as tarka, popu, baghara to name but a few. There are a number of different lentils used in Indian cooking and each has its very own special tarka and cooking time. Indians can be quite sniffy about staying true to authentic tarkas. So it is inadvisable to replace the lentils used in a recipe with a completely different one. 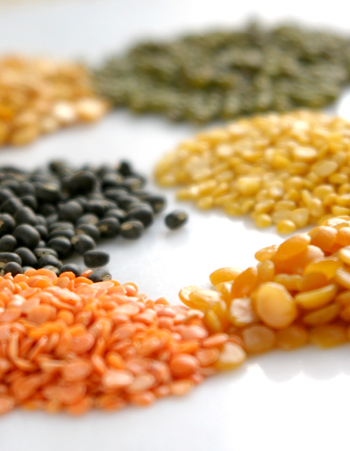 The popular Indian lentils are masoor, moong, toor, chana and urad. There are also variations within these types, for instance you can buy moong (mung) beans with a green husk or without and urad lentils whole with a black husk or split and huskless. Dal is normally eaten with rice or Indian bread like rotis and parathas. It is not common practice to drink it as a soup in India, although lentil soup is quite fashionable on supermarket shelves. However you choose to have it, it tastes damn good. Here is a really easy recipe for dal, if you haven’t cooked one before. There are lot of others in the lentils category in my blog archives. Damn pollen,hope it rains this week.My deck is covered with yellow and green pollen.YUCK!!! I just sneezed!!! Dear God , help me and Mallika! Good info about Dals.I posted some Dal tips and tricks at Aroma too. like adding a tsp oil when cooking dal in the pressure cooker to prevent frothing,which can be dangerous. Ha ha Asha. What is Aroma? Please paste a link here so that we can all check out your tips as well. u r not the only one mallika. i too almost stuffed enough chocolates to last for a month:( already waiting for next bank holiday;) weather is too good to sit in office. 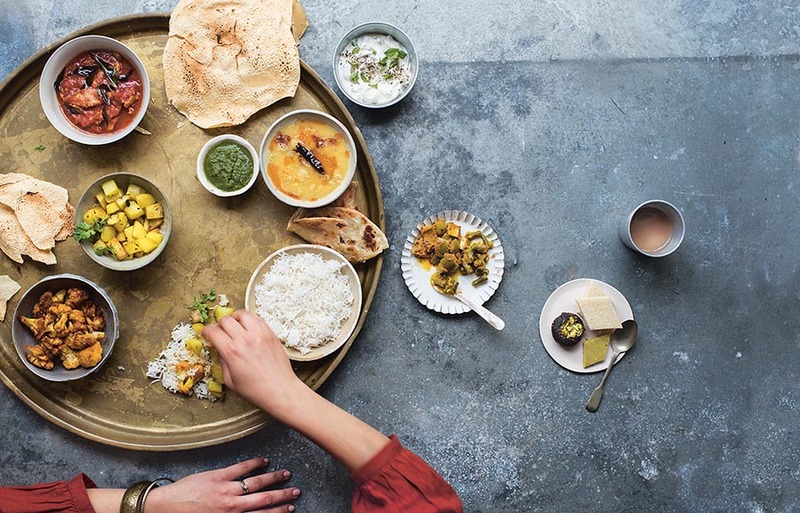 Mallika – just found your blog while doing a trawl through about 200 food blogs looking for new ones to add to my blogroll and reading list. Within about 2 seconds my eye caught on the word baghara. It’s a word I’ve known and used since I was 8 years old, but never seen in a food blog before. My mother was married to an Anglo-Indian in an earlier life and was taught by her (then) mother-in-law to make great dhal (I’ve never been able to make it as well as she does). I’m sure I’ll be a regular visitor to your site in future. A sunbeam in a sea of dross. Thanks for this information. I will definitely have to try your dal recipe — it looks far less complicated than any I’ve seen or used. I do have a question though. How do you keep the asafoetida from “stinking” up the cupboard when you store it? The smell is so strong, it gets into my throat everytime I open the cupboard. Hi Midwest Vegan – I buy asafoetida in a little plastic box and keep it well sealed in a kitchen cupboard. If yours comes in a bag, I would recommend sealing it ticht in a little jar to prevent the smell from escaping. I mean, the stuff ain’t called devil’s dung for nothing. It seriously stinks, doesn’t it? Hope this helps. Good luck with the dal trial!